VIN: JN1EV7AR8KM556732 2019 INFINITI Q50 LUXE Lease. Total due at lease signing of $3,869. 39 monthly payments of $399. Total lease charge of $19,171.61. $0 Security deposit. Residual of $23,026.50 Cap cost of $42,384.36. Cap cost reduction of $3,869. MSRP $45,150. Acquisition fee of $700 IS included. On approved credit, min 750 FICO score. Based on 10,000 miles per year, excess miles charged at $0.20 per mile. Early lease termination fee may apply. $395 disposition fee. Plus taxes, title, license of $611 and $205.37 Oregon privilege tax. Financing available through INFINITI Financial Services. See dealer for complete details. Photos for illustration purposes only. Offer ends 07/01/2019. VIN: JN1FV7EL1KM440072 2019 INFINITI Q60 Red Sport Lease. Total due at lease signing of $5,338. 39 monthly payments of $550. Total lease charge of $25,061. $0 Security deposit. Residual of $31,046.25. Cap cost of $57,736.62. Cap cost reduction of $5,338. MSRP $60,875. Acquisition fee of $700 IS included. On approved credit, min 750 FICO score. Based on 10,000 miles per year, excess miles charged at $0.20 per mile. Early lease termination fee may apply. $395 disposition fee. Plus taxes, title, license of $611 and $285.01 Oregon privilege tax. Financing available through INFINITI Financial Services. See dealer for complete details. Photos for illustration purposes only. Offer ends 07/01/2019. VIN: 3PCAJ5M35KF104264 2019 INFINITI QX50 PURE Lease. Total due at lease signing of $4399. 39 monthly payments of $379. Total lease charge of $18392.39 $0 Security deposit. Residual of $22927.40 Cap cost of $38302. Cap cost reduction of $3217.48. MSRP $39530. Acquisition fee of $700 IS included. On approved credit, min 750 FICO score. Based on 10000 miles per year, excess miles charged at $0.20 per mile. Early lease termination fee may apply. $395 disposition fee. Plus taxes, title, license of $611 and $191.51 Oregon privilege tax. Financing available through INFINITI Financial Services. See dealer for complete details. Photos for illustration purposes only. Offer ends 07/01/2019. VIN: 5N1DL0MM9KC555287 2019 INFINITI QX60 LUXE Lease. Total due at lease signing of $3,999. 39 monthly payments of $460. Total lease charge of $21,512.39. $0 Security deposit. Residual of $26,759.70. Cap cost of $43,835.67. Cap cost reduction of $2,696.33. MSRP $49,555. Acquisition fee of $700 IS included. On approved credit, min 750 FICO score. Based on 10,000 miles per year, excess miles charged at $0.20 per mile. Early lease termination fee may apply. $395 disposition fee. Plus taxes, title, license of $611 and $232.66 Oregon privilege tax. Financing available through INFINITI Financial Services. See dealer for complete details. Photos for illustration purposes only. Offer ends 07/01/2019. Our family-owned and -operated dealership has been supplying INFINITI vehicles to the State of Oregon and surrounding areas since 1989, and we’re also one of the first INFINITI dealerships in the nation. 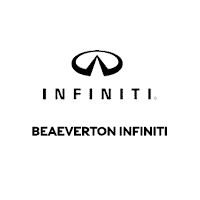 At Beaverton INFINITI we have endeavored to always put our guests first, creating an environment where you can experience an exceptionally seamless service at every touch point. We believe in our customers, and we want them to believe in us, so we’re completely open and honest about our vehicles. We hate cheap sales tactics, so we don’t use them. We want to sell cars, but more importantly, we want you to be happy with your INFINITI. On our website, you can browse our entire new and used inventory. Our showroom closes at 7 pm every night, and 5 pm on Sundays, but our digital showroom is open 24/7 for you to browse at your convenience. You can see the latest in our INFINITI models and even what newer used cars we have in stock.